Hiking is one of the most adventurous activities that a person can do when he/she is on a vacation getaway with friends or family and if you are an adventurous person, then hiking will actually give you the most thrilling experience ever. If you are planning your vacation in a totally remote area which is full of natural beauty like hills, rivers, and forests, then apart from camping around in tents, biking and river rafting, you must try your hand at hiking as well and climb up the lush green mountains and explore the natural beauty. There are a lot many quite amazing hiking trails in the world but if you want to try the best out of them, then you must plan your trip to America. Both North, as well as South America, offers you some really beautiful hiking trails and this is due to the effortless work done by the American Government to preserve so many national parks and other protected areas which mostly lie in Mexico, USA, and Canada. The landscapes of these American hiking trails are just out of the world and which is also the main attraction that attracts the hikers as well. There are expansive canyons, pristine lakes, snow-capped peaks, active glaciers and quite amazing rock formation due to the active volcanoes. So, here we are providing you a list of the top best Hiking Trails in America which you must explore once for sure. Do check them out. Also know as PCT, this hiking trail is quite long in distance which is around 2650 miles ranging from Mexico to Canada. It passes through the cities of California, Oregon and Washington and reaches the heights of Sierra Nevada and Cascade mountain peaks. Though the trail is extremely long but is quite diverse as well as you will get to experience different types of natural beauties like deserts, glaciers, dense forests and beautiful landscapes. Hiking at the PCT will actually give you a thrilling experience for sure and if you want to make such thrilling memories, then you must visit here for sure. 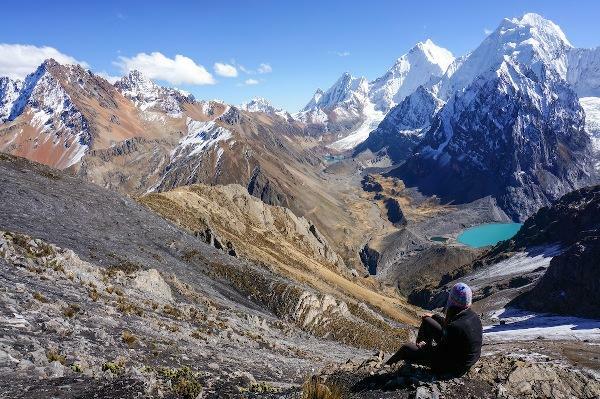 This is the most amazing hiking trail you will ever get to experience in your lifetime. It covers a distance of around 277 miles in which 18 miles are wide and the rest a bit deep. 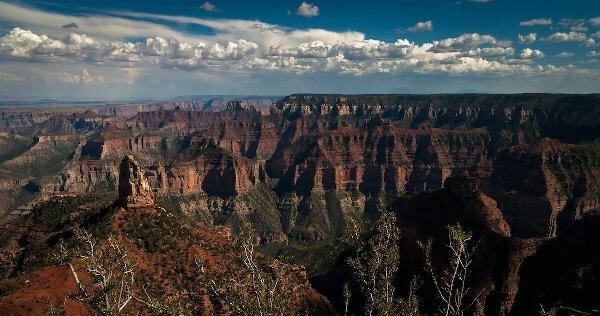 It basically comprises of two rims which North Rim and South Rim. The former is a bit remote and harder one which can be a bit challenging path for the hikers and the latter comparatively easy to climb. If you want to go for a one day hiking trip, then Uncle Jim Point and the Widforss Trail are the best for you and you are on a long getaway, then don’t forget to visit the Zion and Bryce Canyon National Parks. Sunshine to Mt. Assiniboine is one of the most beautiful hiking trails situated in Canada. The amazing natural beauty of the Continental Divide and the huge alpine meadows dotted with extremely colorful wild flowers will just blow your mind away. Due to extreme greenery and dense forest, you will get to experience wide variety of wildlife as well like mountain goats, elk and even bighorn sheep. 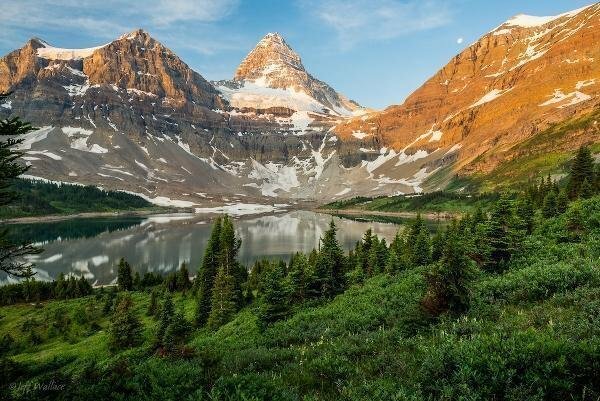 If you are hiking at this amazing trail, then you should not miss the highlight of this place which is the beautiful view of Canada’s Matterhorn which has a great height of around 11, 870 feet. 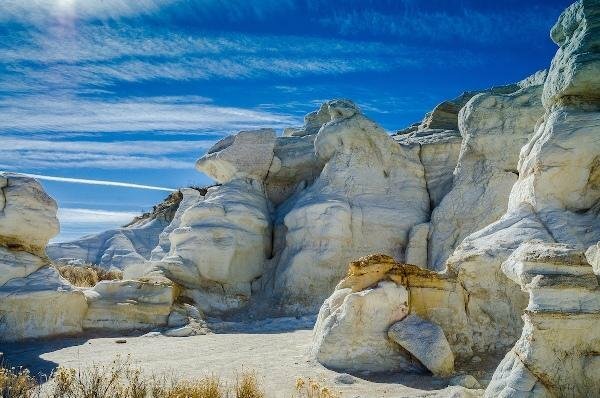 This hiking trail situated in Colorado, USA is quite a short distance trail which just covers a distance of around 3.6 miles but you will get to experience extreme diverse things during your trail journey like hoodoos, caprock canyons and dark colored clay. The trail also has a beautiful scenic view with amazing historical set up here you may find the remains of the humans in the past. It is being said that the mines found at the Paint Mines has given evidence that human life existed 9000 years ago. So, if you want to discover something from the history, then you must visit here for sure. The Cirque of the Towers is situated near the Rockies of Wyoming’s Wind River Range and it comprises of a lot of jagged granite spires and some really amazing peaks deep near the river range. Generally the alpine climbers visit this place but on the other hand it is also loved by the hikers as well. You may plan a 2-3 day trip out here and always start your journey from the Big Sandy Trailhead and then passing through glacial lakes and finally reaching the high peaks. 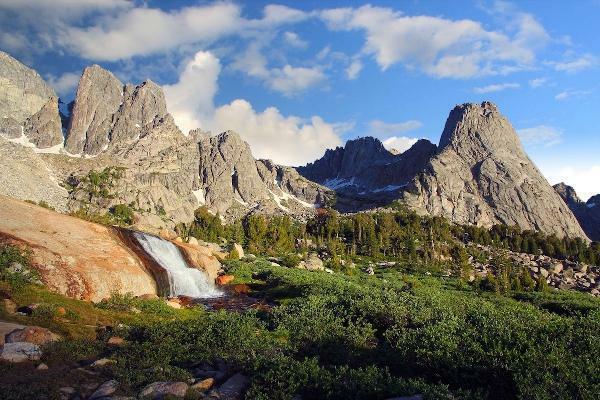 You must read the famous book called Hiking Wyoming’s Wind River Range before planning your trip out here. This is basically a rocky hiking trail situated at the Zion National Park and is around 1488 feet high. 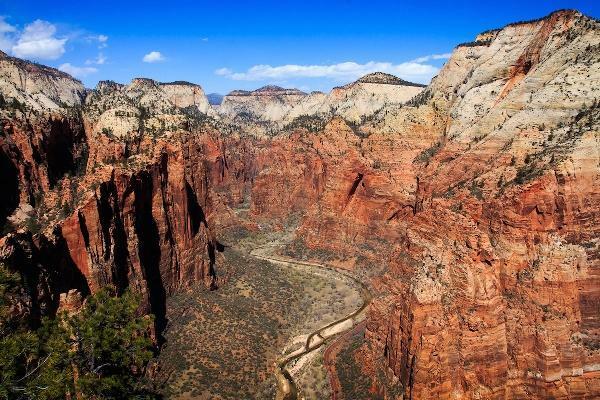 The length of the trail is not that long and is just 2.5 mile long and as you cover the distance and reach the top of Angels Landing, the view of the Zion Canyon is just out of the world. Hiking Trails is not that difficult to cover as it seems to look like except the last half a kilometer which is a bit steep and the thrilling drops can actually scare you for a moment. Please note that if you are afraid of heights, then do not visit this place for hiking. This one is actually quite a long hiking trail and it generally takes 8 to 12 days to complete the whole journey. 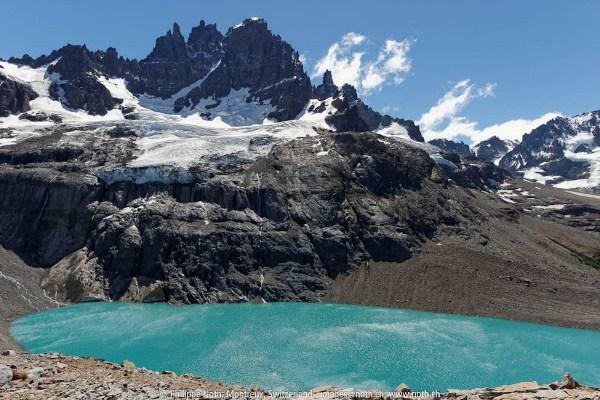 This is one of the best hiking trails in South America but the toughest as well. 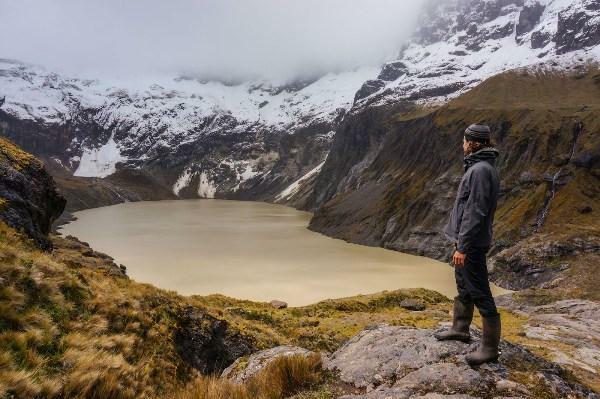 It comprises of 7 passes which are around 4500 meters long and the trail also includes the highest peaks of Siula Grande, Jirishanca and Yerupaja and all of them are located in the middle of the Peruvian Andes. The main reason why you should visit this thrilling hiking trail is that it is less crowdy. This place is actually quite adventurous and is the beautiful backdrop of the lush green mountains and of course the waterfall will make you feel as if you are living in heaven. 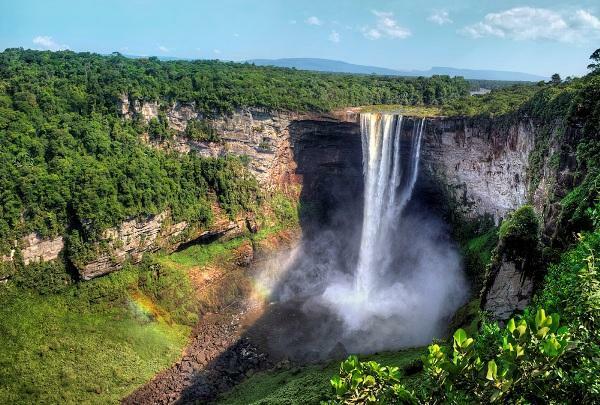 The Kaieteur Falls are the world’s highest single waterfall. The hiking trail passes through the deep and extremely dense Amazon rainforest which comprises of diverse variety of wildlife as well. You can amp around the forest area and cook dinner on bonfire after a long tiring day of hiking. So, all in all this place is a must visit for sure if you want to be close to the Mother Nature. This hiking trail covers a distance of around 34 miles and covers the whole of Cerro Castillo Circuit which comprises of thick and dense forest of Patagonian trees, mountain peaks and the track which is smooth and single. These Hiking Trails are not that common amongst the hikers but if you visit here, this place will actually give an extremely amazing experience and you will get to explore the best natural beauty ever seen. If you need peace and complete solitude, then this place is the best for you for sure. The mountains at the Ausangate Trek are actually a thing to watch and admire the artistic design of the hills which is just amazing. 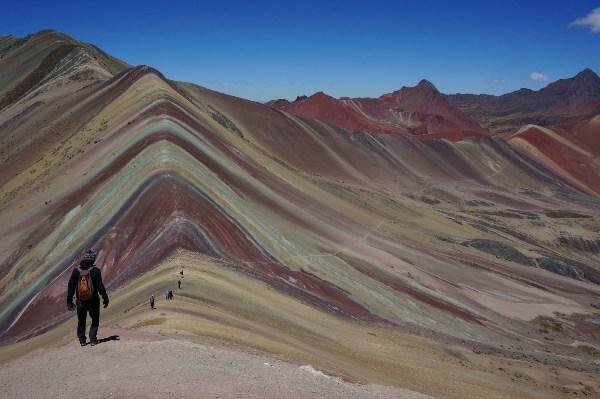 The mountains are basically colorful and extremely unique thing you have never seen in your life time. The trail is located in Southern Peru and it takes around 5 days to cover the whole trail. Hiking Trails covers the sacred Apu Ausangate and ends at the besutiful colorful mountains where you can get your pictures clicked with an amazing background. The design is a rainbow and comprises of almost all major colors like red, green, yellow, etc. To get an astounding experience in hiking, you must visit this place for sure. Before planning a trip to this place, you must first check the current and future weather conditions of the same as the hiking totally depends upon the weather condition. Basically it is quite a popular hiking trail and covers the smooth path of the Ecuadorian Andes. This is one of amazing Hiking Trails located in the Sangay National Park and it takes a time of 3 days to cover the distance of the trail. The trail starts with a smooth and single track path and ends up at the yellow lagoon which is surrounded by snow capped peaks in front of a beautiful valley. 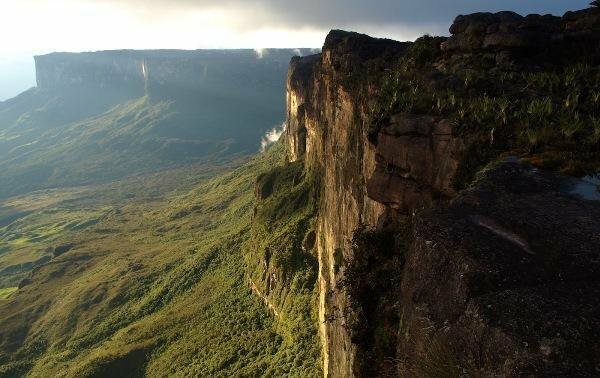 This is one of the best Hiking Trails, located in the Pakaraima chain of tepui platues and Mt. Raima is the highest platue among the all. It takes around 6 days to complete the journey of the trail which comprises of the savannah, the dense and thick forest area, the beautiful rivers and the high peak mountains. Apart from that the place is covered with quite weird designed stone formation and even unique plants which make the landscape look even more beautiful and diverse. 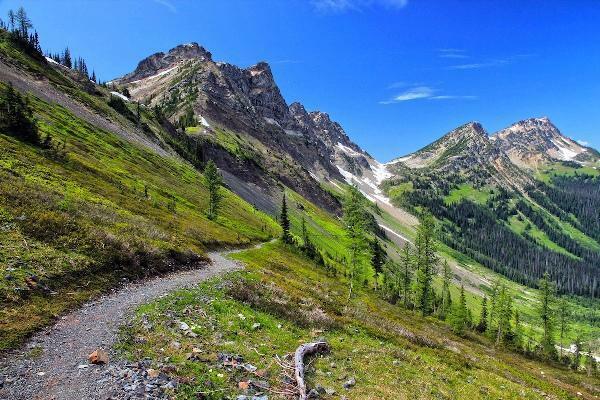 So, these are the top Hiking Trails in America that you must visit for sure.